The holidays have arrived and I've been adding more metallic than usual to my beauty regime. Switching up your beauty routine during the holidays is one of the easiest ways to give that last season little black dress an instant face lift. You don't necessarily need to buy a whole new outfit for the holidays to look good. Just add a bold lip and a metallic manicure to spice things up! 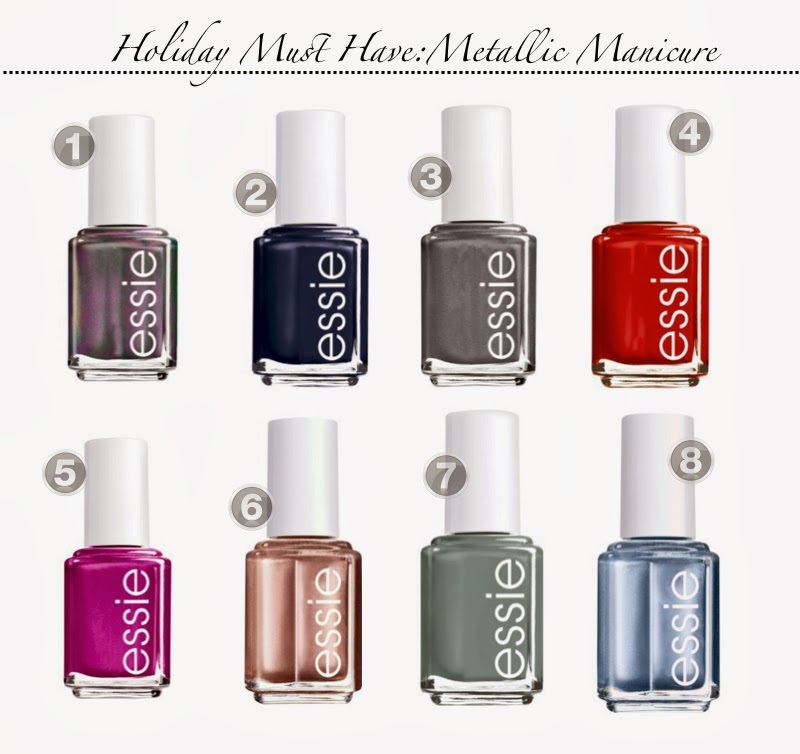 My favorite nail polish line, Essie, has answered our holiday dreams by offering the most gorgeous metallic polishes; my favorite being Penny Talk. I wear it even when it's not the holiday season! You can find all of these polishes at your local Target store too! How cool is that? Metallic polish is one of the easiest ways to achieve that old hollywood glam without going over the top. What kind of beauty trends do you like to wear during the holidays? Disclaimer: Compensation was provided by Target via Glam Media. The opinions expressed herein are those of the author and not indicative of the opinions or positions of Target.